One of the best was to study any body of literature is by way of master practitioners of the craft of writing. These writers emphasize the role played by nonhuman nature in a wide range of human activity. They also interrogate the ways that human interactions with nature (plants, animals, geology, landscapes) have affected human life and the natural world. Some of these authors have environmentalist or preservationist agendas at times; others are more interested in the philosophical and cultural implications of human understanding of and impact on the natural environment. We will set their literary works in dialogue with scientists and nature writers of the past two centuries and will examine the current importance (as well as the controversial aspects) of their wide-ranging ideas. Students will come to class prepared to discuss the assigned readings for each day. Discussion will form a central part of class work, and students will sign up for two (2) discussion introductions based on our weekly reading schedule. Students will be evaluated on the basis of class participation, two critical essays (8-10 pp., 12-15 pp. ), and a comprehensive take-home final exam. (Your first essay will ask you to select a chapter from Walden and write your own interpretation of this chapter. Your second essay will ask you to write a research essay that explains why at least two of these authors are essential to an understanding of environmental literature.) Class participation will include written exercises and discussion introductions. The class will emphasize research skills and methods useful for scholarly research and writing, both in class and through your work with the C.A.L.M. Lab workshop, if this is your first 300-level course. The comprehensive final exam will be composed entirely of essay questions. Students must complete all of the assigned work in order to pass the course. If this is your first 300-level class in the English Department, you need to make sure that you registered for English 300, the “Critical Approaches and Literary Methods Laboratory,” colloquially known as CALM Lab. Please make sure you have registered for this lab (in the way that you regularly register for a class), enrolling in English 300. The syllabus for that lab includes two class meetings (in the evening) and written assignments connected to these meetings. If you have questions about the CALM Lab, please contact Chris Bombaro [bombaroc@dickinson.edu] in the Waidner-Spahr Library. She is the instructor for the CALM Lab and can answer any questions you may have. I will work closely with her on your CALM lab sessions and will attend at least one of the evening classes. The Dickinson plagiarism policy will be strictly enforced. This class adheres to the college’s Community Standards, which clearly state: “Students are expected to do their own work. Work submitted in fulfillment of academic assignments and provided on examinations is expected to be original by the student submitting it.” Please review the Community Standards document for more information. Students have failed to graduate from Dickinson on-time based on academic honesty issues in 404; please do not hesitate to ask me any questions you may have about citation, documentation, or academic honesty in relation to your thesis. In compliance with the Dickinson College policy and equal access laws, I am available to discuss requests made by students with disabilities for academic accommodations. Such requests must be verified in advance by the Coordinator of Disability Services who will provide a signed copy of an accommodation letter, which must be presented to me prior to any accommodations being offered. Requests for academic accommodations should be made during the first three weeks of the semester (except for unusual circumstances) so that timely and appropriate arrangements can be made. Students requesting accommodations are required to register with Disability Services, located in Academic Advising, first floor of Biddle House. Please contact Marni Jones, Coordinator of Disability Services (at ext. 1080 or jonesmar@dickinson.edu ) to verify their eligibility for reasonable and appropriate accommodations. Are human beings just the result of random evolutionary processes over time? Is that all they are? “Be fruitful and multiply.”–Is that a good idea? Is that a waste? Does evolution necessarily conflict with the religious teachings of Christianity? Can the two viewpoints–religious and scientific–be reconciled? Why does Christianity say that God cannot be a part of the natural world? What problem/s does that pose for literature? What is the connection between environmentalism and planetary climate change? Why has thinking about the nonhuman world had such a powerful impact on poets and novelists over the past 150 years? What does American nature writing have to do with the environment, culture, and values? A great deal. What does great literature have to do with nonfictional observation of nature? A surprising amount. Our course will survey writings by a wide range of authors: young and old, male and female, northern and southern, black and white. We will set these works in dialogue with environmental questions of the past two centuries: wilderness and species preservation, appreciation of wild nature, pollution. The course will also study language, literary styles, and the link between literature and “environment, culture, and values.” Our texts will be literary and scientific. Our contexts will be environmental, ethical, and ecological. We will work to answer questions about the relationship between the natural world and human beings who have defined and affected that world. Are humans just part of nature? Are we distinct from nature? Is nature beautiful and benign (sunsets, daffodils, puffins) or ugly and destructive (hurricanes, AIDS, death)? How and why should we preserve nature? Why is climate change considered the major challenge facing the modern world? We will try to understand how literary texts reflect the context of the times in which they were produced and also the times in which they have been received by readers. Our guides will include novelists, essayists, and ourselves. We will examine the current importance (as well as the controversial aspects) of evolutionary ideas, and we will emphasize the role played by literature in the development of our own environmental assumptions and values. Students will be required to read carefully and come to class prepared to discuss all assigned work. Reading quizzes and in-class writing will contribute to discussions. Discussion will form an important part of your evaluation in this course. More than two (2) unexcused absences will be grounds for lowering your grade. You must complete all required work in order to pass this class. The short essay (4-5 pp.) will ask you to analyze a single text. The longer essay (9-10 pp.) will ask you to connect at least one work to the culture in which it was produced. The final exam will be cumulative. I am available during office hours and by appointment to discuss the course, our readings, your writing, or your grade. The Dickinson plagiarism policy will be strictly enforced. This class adheres to the College’s Community Standards, which clearly state: “Students are expected to do their own work. Work submitted in fulfillment of academic assignments and provided on examinations is expected to be original by the student submitting it.” Please review the Community Standards document for more information. CONTEXT: n. 1. parts of written or spoken statement that precede or follow a word or passage, usually influencing its meaning or effect. 2. circumstances that surround a particular event, situation, etc. [late ME, L context(us) joining together]. LITERATURE: n. 1. writing regarded as having permanent worth through its intrinsic excellence. 2. The entire body of writings of a specific language, period, people, etc. 3. the writings dealing with a particular subject: the literature of ornithology. Are human beings just the mere result of random evolutionary processes over time? Is that all they are? “Be fruitful and multiply.”–Is that a good idea? Is that a waste? Is AIDS natural? Is spinal bifida? Is death? Is nature “good”? Does evolution necessarily conflict with the religious teachings of Christianity? Can the two viewpoints–religious and scientific–be reconciled? Nature could not care less about you or me? Or could it? What were the scientific implications of Darwin’s theory? I. The principle of natural selection determines the survival of species. II. Species have not existed forever in their present form: Galapagos endemism. A. Each life form on earth is undergoing continual change. B. These changes result from chance mutations. What were the wider implications of the theory? govern those laws can change. 1.) cooperation: symbiosis or parasitism? B. There are no “ideals” in nature or natural form. 1.) what is “right” is what succeeds over time. B. Doubts about the Biblical account of human origins and fate emerge. 4.) destruction as likewise ongoing and accidental. 3.) do the ends always justify the means? 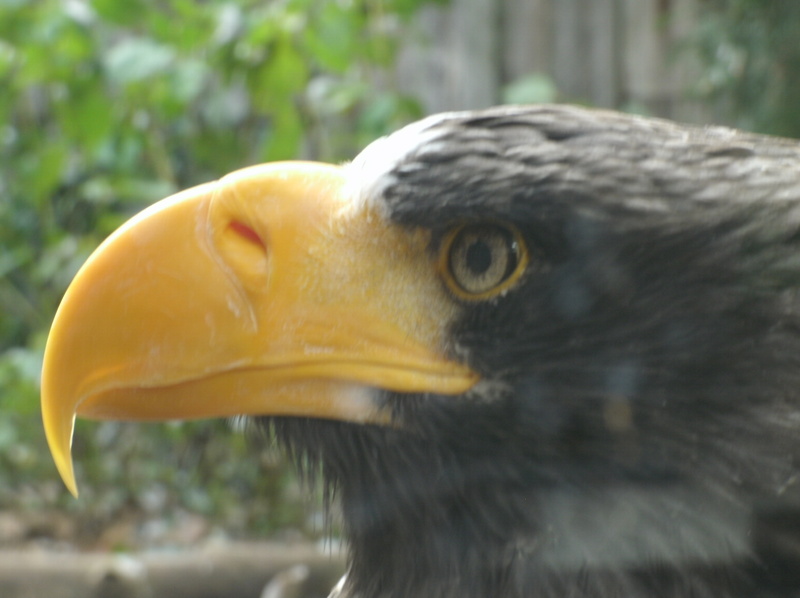 Steller’s sea eagle, the largest eagle in the world, a close genetic relative of North America’s own bald eagle and golden eagle. Fergus, Charles. Wildlife of Pennsylvania: And the Northeast. Hacker, Diana. A Pocket Style Manual 5e. Leopold, Also. A Sand County Almanac: And Sketches Here and There. Nichols, Ashton. Beyond Romantic Ecocriticism: Toward Urbanatural Roosting. Warner, William. Beautiful Swimmers: Watermen, Crabs, and the Chesapeake Bay. Put your last name, first name here. Natural History Field Notebook. Merriam-Webster for regular use: http://www.britannica.com/ Dickinson website. 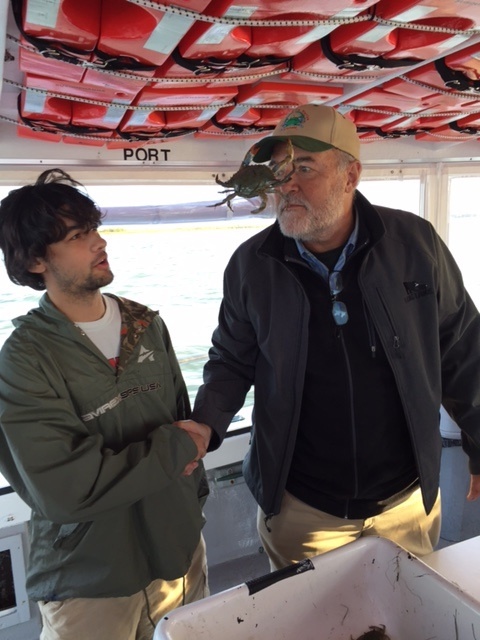 A bemused Connor Liu meets a stunned Captain “Crab-Hat” Nichols on the deck of the Chesapeake Bay boat Susquehanna. This course is designed to improve your skills as a writer of expository prose by emphasizing the genre of natural history writing. We will concentrate on a variety of writing problems and techniques, emphasizing specific skills necessary to a wide range of writing tasks: description, summary, narration, argumentation, analysis, and interpretation. In all cases, our focus will be on the natural world, natural history, and human connections to that world. Our numerous field trips to museums and field experiences in the wilds of Pennsylvania and beyond (Virginia, North Carolina) will form the basis of much of our writing. You will keep your own natural history journal that begins today and ends on the final day of classes, when it will be handed in; this journal will record, analyze, and otherwise create an experiential and intellectual document of your experiences with the nonhuman world during our entire semester. So, some of your writing will take place in the field or near the field, some more of it in the library or at your desk. Discussions of essay reading assignments will be supplemented by group workshop sessions and individual tutorials. Students will have the opportunity to critique one another’s work and to compare their essays to works by natural history writers of the past and present. The course aims to concentrate your attention on the precise stylistic details that lead to effective writing. 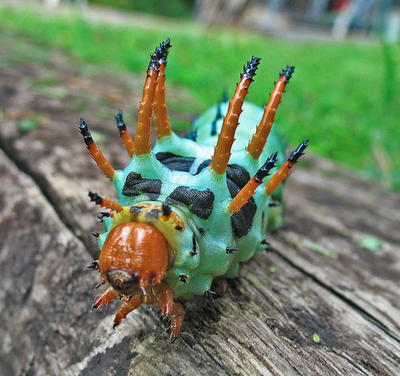 The horrendously beautiful hickory horned devil–one of the largest caterpillars in North America–soon to become a regal moth: a.k.a. 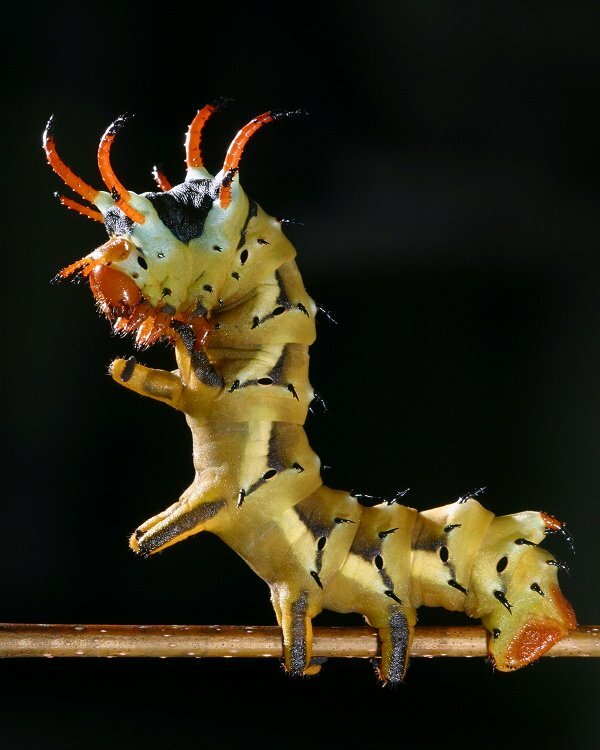 the royal walnut moth. Trilobites are one of the most widespread and successful creatures ever to live on earth. They roamed the seas for over two hundred million years and finally disappeared as part of a mass extinction as the Permian era ended. Today, they remain only as fossil specimens in museums, private collections, and in various geological sites around the world. 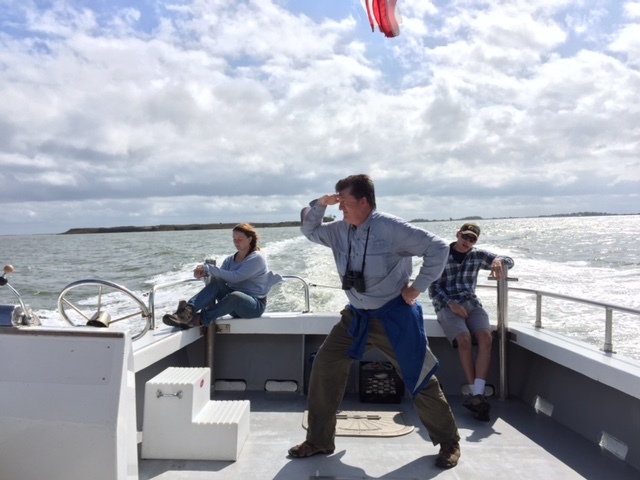 Captain Marcus Key piratically surveys the horizon; Smith Island (pop. c. 140) is in the distance (behind Cecilie Macpherson and Joshua Reider). Students must complete all of these requirements in order to receive credit for the course. August 30 Tu: 10:30 a.m.-11:45 Syllabus in-class writing: what is “nature”? What is “natural history”? September 1 Th: Continue with in-class writing and online nature writing. 6 Tu Essay #1 due (a natural object: assignment sheet attached). Provisional grade is dropped if it goes up on September 22 version (see below). 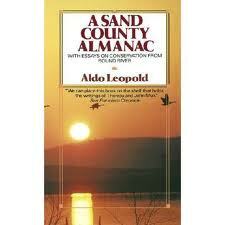 8 Th Aldo Leopold, Sand County Almanac. xiii-xix, pp. 3-137. What is good nature writing? Here is one of the unarguable ur-texts, that is to say, a foundational document, of American nature writing . . .
. . . and a great literary masterpiece, to boot. Sadly, Leopold died before it could be published, fighting a grass fire on a neighbor’s property. 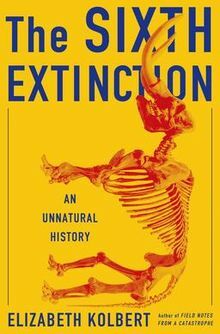 Elizabeth Kolbert’s book has become that surprising entity in the literary world: a scientific text that has become a bestseller — because of the quality of its writing and the importance of its ideas about homo sapiens’s human impact on the nonhuman species around us; the news is not good. 22 Th Essay #1 revised (a natural object). Hand in for a final grade. Workshop. 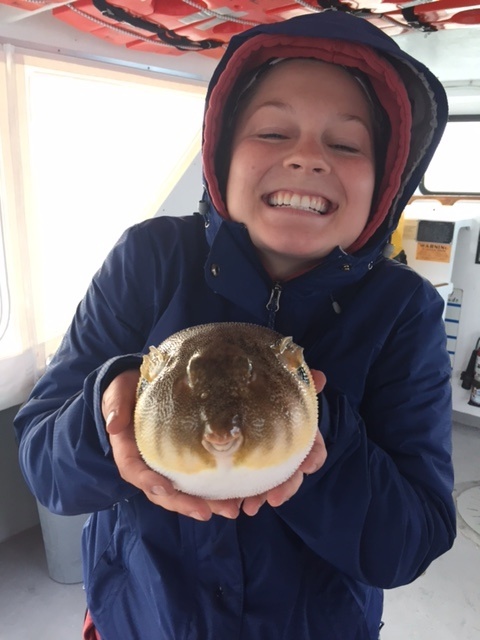 Jackie Geisler meets her new and sandpapery friend, Mr. Puffer Fish (Tetraodontidae Sphoeroides maculatus: the spotted spherical pufferfish). 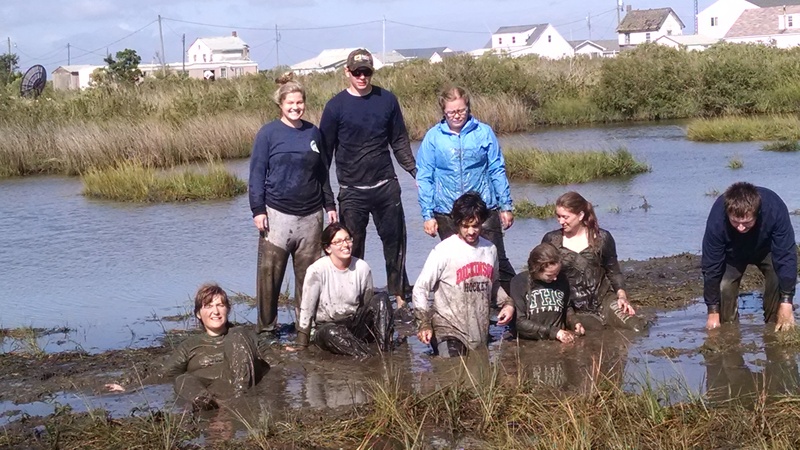 Mud bathers enjoy the free Smith Island Special. 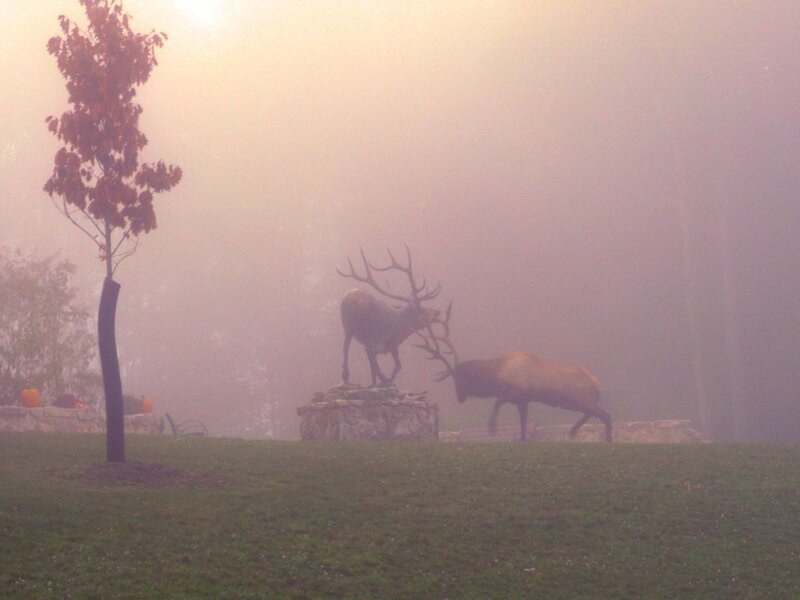 A remarkable photo, in which a rutting bull elk mistakes a bronze statue for a mating rival and attacks. Nature and culture, together again. Are “wild” animals different when they are seen within sight of human development and habitation, as here in Montana? 20 Th In-class exercise: “To see the wind with a man his eyes.” Hacker & Sommers, “Mechanics,” pp. 76-87 Charles Fergus, Wildlife of Pennsylvania. Pick a single CAPITALIZED SECTION from this book [ex. COYOTE, ELK, PUDDLE DUCKS, WILD TURKEY, LAND SALAMANDERS, POND AND MARSH TURTLES, WATER SNAKE]). At the start of class hand in a single double-spaced page about why this entry in Fergus’s book is well-written, using examples of language as details; then be prepared with notes to tell the class why your entry is well-written. 23 Sunday: Depart for Kiptopeke, 10:00 a.m., Kaufman parking lot. 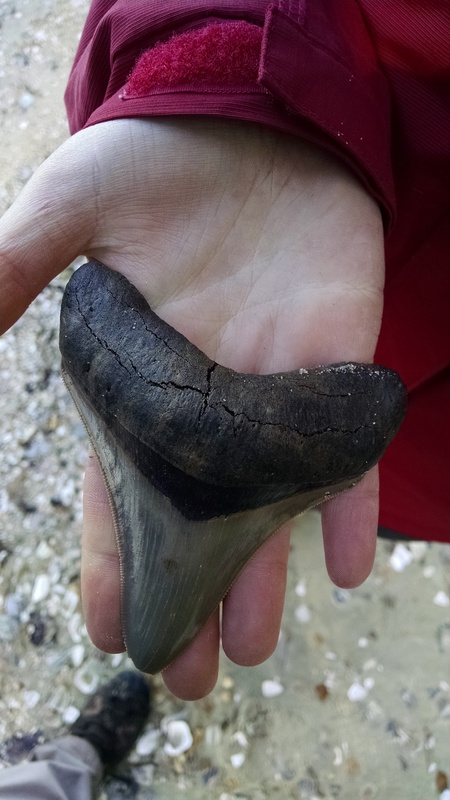 Jackie Geisler’s astonishing C. megalodon tooth, a remarkable rarity spotted by her watchful eye along a James River beach site! 27 Th Hawks plus fossils plus assignment of Essay #3. 3 Th Continue field journals until nine (9) are complete. Vote. 8 T Essay #3 due, analyze Leopold’s or Kolbert’s writing style. The Joseph Priestley House in Northumberland, PA, just up the Susquehanna River from Dickinson College. 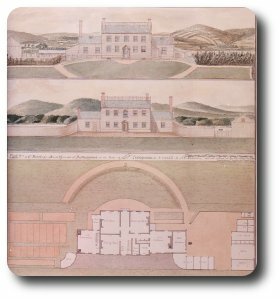 This drawing–the Lambourne Plan (1800)–was only rediscovered in 1983 in the Royal Society Archives in London; the house remains substantially the same today as it was when Priestley lived and died there in 1804. 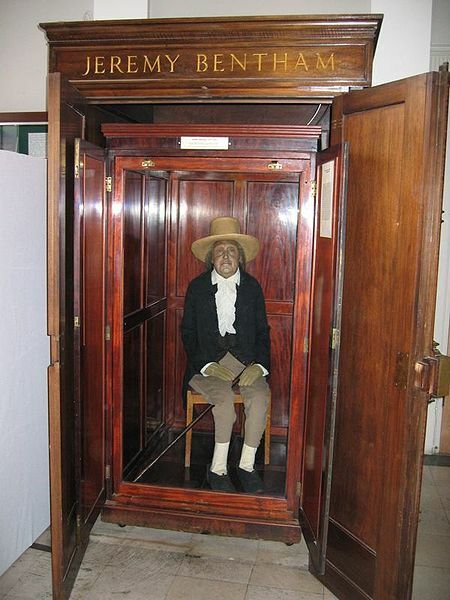 It contains the laboratory in which Priestley identified carbon monoxide and the room that once housed his library of over 1,500 volumes, one of the largest private libraries in America at the time. 17 Th Carnegie Museum of Natural History (all day). 22 T Beyond Romantic Ecocriticism xii-101. Link to your own experiences this term. In-class writing. 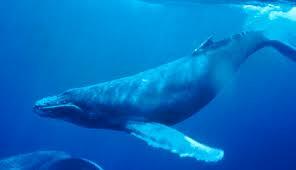 Whales are among the most amazing creatures on land or sea. Originally land mammals, they lost their legs and returned to the oceans more than 50 million years ago. They are more closely related to cows and to camels than to any of the fish species that surround them. 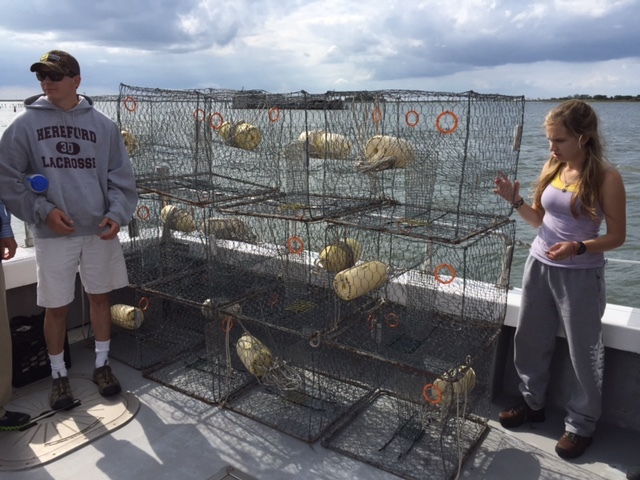 December 14 Wed FINAL EXAM (2nd Revision) due in Kaufman 192 by 5:00 p.m.
Josh Reider and Amanda Turner survey the crab-pots, complete with cull-rings and floats. Can’t get enough of this guy; what a face! Spend at least one uninterrupted hour observing a natural object. The object can be large (star, sun, cloud, mountain), small (grain of sand, flower, ant, leaf) or in between (stream, tree, turkey vulture, rock). Your object should be one that had not been shaped or visibly affected by humans. You should observe it as carefully as possible. Do not engage in any other activity (conversation, writing, reading, etc.) during your observation. No Walkmans allowed! What did you learn as a result of this experience? Write a 750-1,000 word (three to four typed pages) essay that explains to the members of our class what you knew at the end of this hour that you did not know before your observation began. Write with care and attention to the precise details of your experience. Your essay should have a thesis (a central controlling idea) and a clear organizational principle (chronological, psychological association, logical progression). Avoid errors of grammar, syntax, and spelling. Proofread you work carefully. This essay is due at the start of class on Thursday, August 30, at 10:30 a.m. It should be typed, double-spaced, and should have a title page that includes a title that you have composed, your name, and the date. For our “Writing About Natural History” class, you will keep your own natural history journal. It begins today and ends on the final day of classes, when it will be handed in to me. This journal will describe, narrate, analyze, interpret and otherwise create an experiential and intellectual record of your experiences with the nonhuman world during our entire semester. This field journal will have no length requirement; it must, however, be complete. Do not let us find that you have no entry about our trip to the Chesapeake Bay. 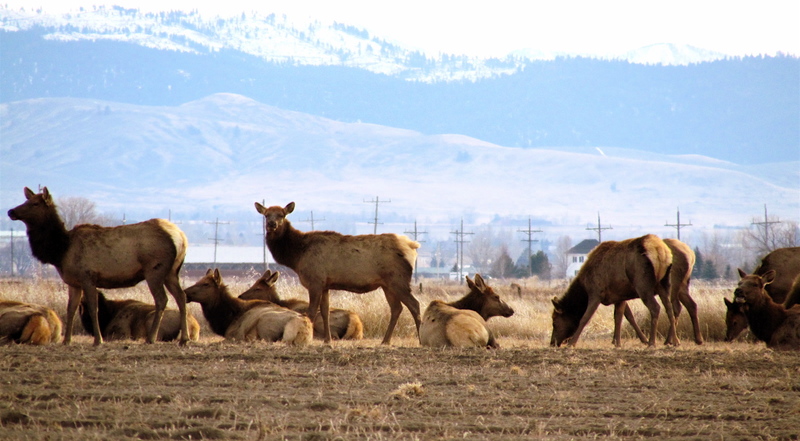 Do not give your readers half-a-page about the largest herd of elk east of the Mississippi. This journal should accompany you on all of our trips away from Dickinson and Carlisle. You are encouraged to share your journal with your classmates, with other students, with professors, or with your family. You should feel free to ask me for advice or suggestions during the term, and you should feel free to copy “commonplace” selections into your your own journal (from Thoreau or Annie Dillard Emerson, from Wordsworth or William Warner); just make sure that you always indicate when the words you write are not your own. Consider all of our texts, classes, and discussions as source material for your own journal writing. Writing is a social and cultural practice. Your own writing always benefits when you see yourself as part of a reading and writing group of interested literate individuals. I may collect these journals at any time during the semester. I may ask to see the journal—individually or collectively—at any time. I may ask you to read aloud from your journal on any day our class meets. I may ask you to make use of your journal for additional formal or informal writing exercises. In short, this writing will be a key component of your work for this class. In addition to your five formal (graded) essays and two formal revisions, this journal will form the basis for the bulk of your writing during the term. Let your journal be influenced by the other writing we do in and for class. Let your style be influenced by the readings we are doing and reading that you are doing for your other Mosaic classes. Take advice from your classmates, or ignore it; take advice from me and your other professors. Keep your journal in a separate notebook that can be handed in to me or can be shared among your classmates at any time. It must be written in ink (longhand or printed), or printed out on computer sheets that can be included in a journal format. You can keep your rough notes or drafts elsewhere. Your journal should be work that you would want to read aloud to the class or that someone else could read aloud. I will collect these on November 20 for the last time and will hand them back to you by the end of term. 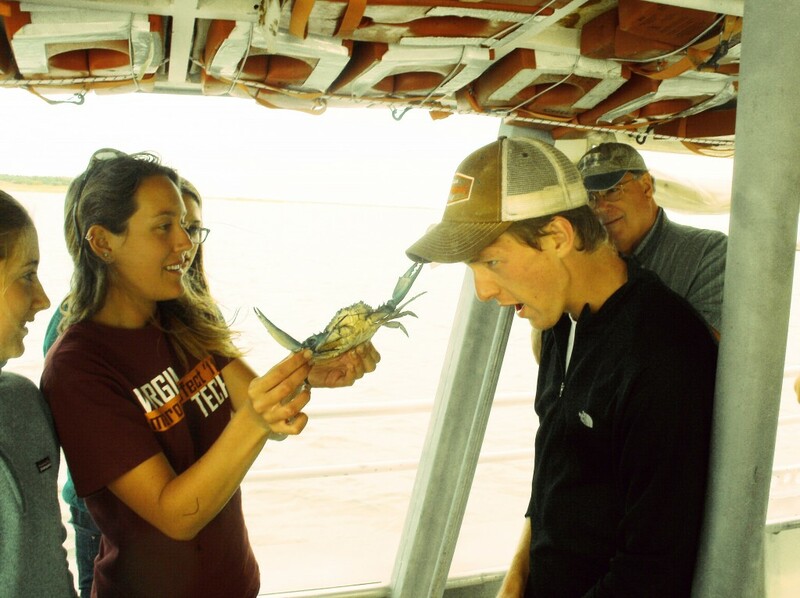 Students fashion a “Crab Hat”–on a skeptical victim–near Tangier Island on the Chesapeake Bay. 2) ERSC 307 Paleontology with Lab: Key, QR or DIV III lab science requirement. In addition to coursework, numerous field trips–several overnights–will enhance the experience of this unified teaching semester. Since students are only enrolled with these three professors, they will not have a regular schedule; instead, all of the Mosaic students will work with all three of the Mosaic professors in shared enterprises that will call for varying time schedules and commitments each week. 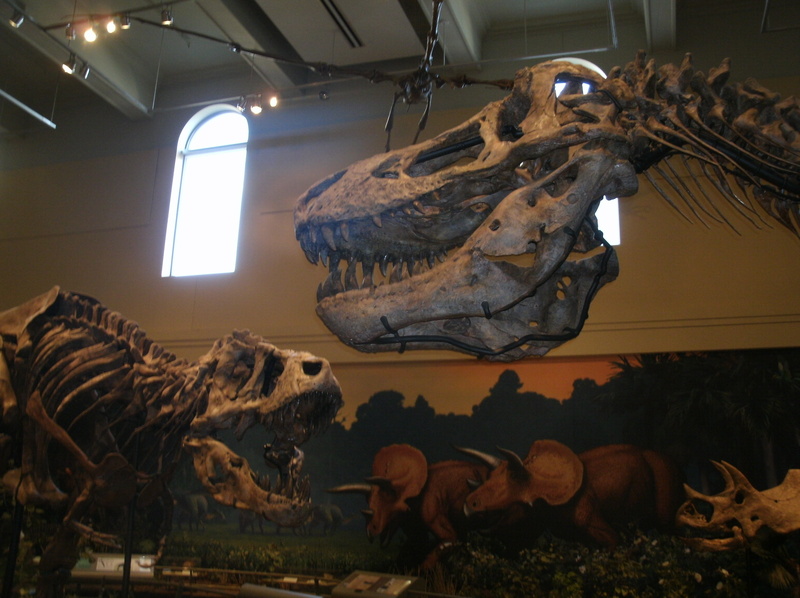 The Carnegie Museum houses the “holotype” T-Rex; that is the first specimen–1905–fossil on which the scientific designation of this animal as a new species (Tyrannosaurus rex [“tyrant lizard king”] was based). Field trips will include the world-class Carnegie Mellon Natural History Museum and the National Aviary in Pittsburgh; a Chesapeake Bay Foundation trip to live near Tangier and Smith Island in the middle of the Bay (crabbing and oyster dredging, wet and dry hikes, aquatic research, and more explorations); an Elk County Study Center residency, where we will study the largest elk herd east of the Mississippi (over 750 animals); a journey to North Carolina and Virginia to dig fossils in a world famous quarry pit and also to observe astonishing numbers of hawks and eagles in their annual autumn raptor migration at the southern tip of the Delmarva (Delaware, Maryland, Virginia) Peninsula; as well as day-trips to the State Museum in Harrisburg, where students will prepare actual specimens for the museum’s collection, and much more. In addition, students will engage in other field experiences that include saw-whet owl banding at King’s Gap, turtle trapping in Wildwood Park, local hawk-watching at Waggoner’s Gap, a Susquehanna River clean-up trip in canoes, and a tour of the remarkably well-preserved 1804 Joseph Priestley House (he discovered oxygen) on the banks of the Susquehanna River. Students will take no other classes during the fall of 2016, since they will receive a full four-credit semester based on three (3) classes with professors and a self-selected independent study (for one  credit) on a subject related to natural history, with one professor. The Natural History Sustainability Mosaic II represents a remarkable example of what can happen when three professors, with different strengths and different interests, come together to share their expertise and enthusiasms with a group of equally committed students. The Mosaic will use place-based, as well as classroom, learning as valuable ways of engaging student interests while conveying a wide range of academic and intellectual content. All you need to do for now is to send your name to (nicholsa@ dickinson.edu) and let us know that you have an interest in this Mosaic for Fall semester 2016. We will then call a meeting for all interested students to begin applications. 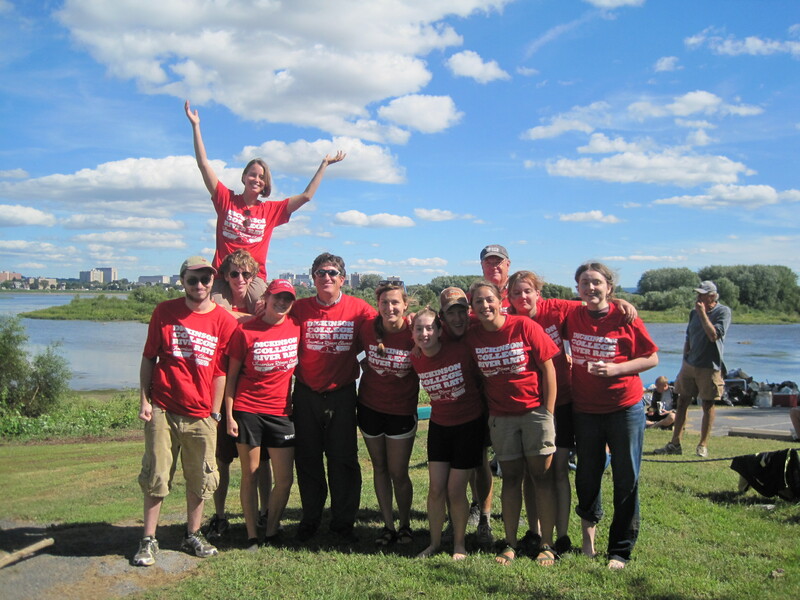 Students celebrate environmental clean-up (in canoes) of the Susquehanna River. 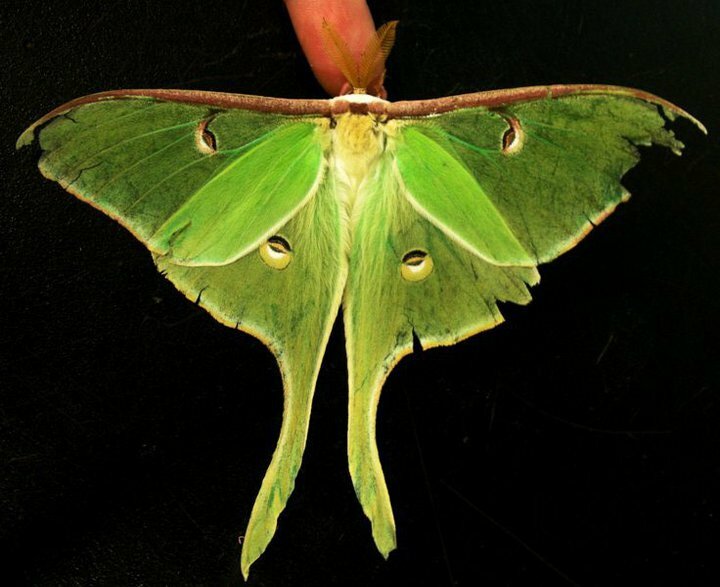 Sometimes creatures–like this luna moth–are appreciated primarily aesthetically: for their remarkable physical beauty, their incredible shapes, or sizes, or colors. Bly, Robert, ed. News of the Universe: Poems of Twofold Consciousness. Sierra Club. Negri, Paul, ed. Great Short Poems. Dover. Nichols, Ashton. Beyond Romantic Ecocriticism: Toward Urbanatural Roosting. Palgrave Macmillan. Raffel, Burton. How to Read a Poem. Meridian, Penguin. More details on the essays and portfolio will be provided closer to due dates for those assignments. I am always available during office hours and by appointment to discuss the course, our readings, your writing, or your grade. JAN. M 25 Small Poems, Big Ideas: our course syllabus as a text and one small poem with big ideas. H 28 Write out the title and the author of three (3) short poems from any of our texts (Bring all of our texts to class). May 13 (Friday) 5:00 p.m.: Last time for Take-Home Final Exam (portfolio) to be submitted. In compliance with the Dickinson College policy and equal access laws, I am available to discuss appropriate academic accommodations that may be recommended for students with disabilities. Requests for academic accommodations are to be made during the first three weeks of the semester (except for unusual circumstances) so that appropriate arrangements can be made. Students are required to register with Academic Resource Services in the Advising Office located on the first floor of Biddle House (contact ext. 1080 or waybranj@dickinson.edu ) to verify their eligibility for appropriate accommodations. The Dickinson plagiarism policy will be strictly enforced. This class adheres to the college’s Community Standards, which clearly state: “Students are expected to do their own work. Work submitted in fulfillment of academic assignments and provided on examinations is expected to be original by the student submitting it.” Please review the Community Standards document for more information. Do not hesitate to ask me any questions you may have about citation, documentation, or academic honesty. LITERATURE: n. 1. writing regarded as having permanent worth through its intrinsic excellence. 2. The entire body of writings of a specific language, period, people, etc. 3. the writings dealing with a particular subject: the literature of politics. This course in 19th-century literature will use gender as a lens through which to view this revolutionary era. How did male authors talk about female subjects in these works? How did female authors invest authority in male and female voices? What current stereotypes about gender can be traced to Romantic and Victorian literary works? Rossetti will claim that goblin men sell a dangerous fruit that women often buy. Hardy will call an out-of-wedlock mother “a pure woman.” Society will damn him for that description: why? We will work to understand the sources of contemporary critical interest in—and scholarly discussion of—these authors and texts from a variety of critical perspectives. Study of these works will provide the basis for independent exploration of these and other Romantic and Victorian writers and prepare English majors for their ENGL 403 & 404 year. Dickens, Charles. Great Expectations. Norton Critical Edition. Students will be expected to come to class prepared to discuss the assigned readings for each day. Discussion will form an important part of class work, and students will sign up for two (2) discussion introductions based on our weekly reading schedule. Students will be evaluated on the basis of class participation, two critical essays (6-8 pp., 14-16 pp. ), and a comprehensive take-home final exam. Class participation will include written exercises and discussion introductions. Two (2) unexcused absences will be grounds for lowering your grade in the course. The first essay will allow you to work closely with a single text; the second will require that you provide a critical context for research into works by a single author. Assignment sheets for both essays will be distributed three weeks before the essay due dates. The comprehensive final exam will be composed entirely of essay questions. What makes Jane Eyre such a unique 19th-century heroine? What makes Tess of the Durbeyfield such a typical one? What was so revolutionary about Jane Eyre as a female heroine in 19th-century fiction? The two sexes now inhabited what Victorians thought of as ‘separate spheres’, only coming together at breakfast and again at dinner. The ideology of Separate Spheres rested on a definition of the ‘natural’ characteristics of women and men. Women were considered physically weaker yet morally superior to men, which meant that they were best suited to the domestic sphere. Not only was it their job to counterbalance the moral taint of the public sphere in which their husbands laboured all day, they were also preparing the next generation to carry on this way of life. Are there still traces of “separate spheres,” or a “double standard,” in relationships between the sexes in 2016? Brontë, Charlotte. Jane Eyre: Case Studies. Ed. Beth Newman. Bedford. Heaney, Seamus. Opened Ground: Selected Poems 1966-1996. Farrar, Straus, and Giroux. Mayes, Frances. The Discovery of Poetry. Harcourt. Murfin, Ross and Supryia Ray, The Bedford Glossary of Critical and Literary Terms. Bedford. Rhys, Jean. The Wide Sargasso Sea. Norton. Shakespeare, William. The Tempest: Case Studies. Ed. Gerald Graff. Bedford. This course is designed to introduce you to the variety of questions we can ask about literary texts, their authors, and their audiences. We will study a limited number of texts using a variety of critical approaches: formal, generic, reader-response, feminist, psychological, economic, ecocritical. The course will also provide closely supervised instruction in the format and basic elements of critical writing (this is a “W” course). The course is designed to prepare you for the sorts of questions you will be expected to ask and answer throughout an English major, but it is not only for future English majors. The course is designed to help you to explore your own reasons for reading, writing about, and interpreting literary texts in a variety of ways. Please do not hesitate to contact me at any time during the semester to discuss the course, our readings, your writing, or your grade. This class will be unlike others you have had in the English Department. There will be a range of readings assigned for each day, and you will often be asked to emphasize some aspect of those readings for class work. Essays and written work will draw on your reading of all assigned material. You will revise and resubmit almost all of your writing. You will also be encouraged to read more widely than the required reading in order to fulfill the requirements and goals for the course. You will be placed in discussion groups that will regularly be asked to present specific material or questions to the class. The terms listed under the readings below will be defined progressively. You will familiarize yourself with the attached handout on “Interpretive Methods” and be able to refer to and critique these approaches as the semester proceeds. Our class will become more flexible and discussion oriented as our work progresses. JANUARY 19 M Our syllabus—Our syllabus as a Text—-Our class as a Dialogue “Read” what? Critical approaches are not cookie-cutters placed over a text. Effective interpretations draw on more than one approach in order to develop an argument. Every one of the categories below overlaps with others in important ways. Less useful interpretations force the text into narrowly methodological readings; such reductive interpretations always weaken an argument by leaving it open to objections from other points of view. The following categories, however, represent ways that literary critics and theorists have been talking about texts for the past half-century. Your own reading and writing about literature should reflect the ways that you give emphasis to various sorts of questions that can be asked about texts. Textual (Philological): this form of analysis emphasizes the physical text as an object of study. Is there still a manuscript copy of the work in the author’s handwriting? Are there conflicting manuscript versions? Can we date this work? How? How did the author or editor revise the work over time and in different editions? How might these questions influence our understanding of the text? New Critical: a form of reading that stresses our ability to analyze a literary text without considering the circumstances surrounding its production. Such reading de-emphasizes the author and the historical context in favor of a “pure” analysis of language as language: tropes, symbols, metaphors, allusions, metrics, narrative structure. A “great” work is then seen as one that exemplifies certain identifiable characteristics: unity, complexity, subtlety, allusiveness. Sometimes identified with “close” reading. Historicist/New Historicist: traditional forms of historicism emphasize the importance of historical “background” to the understanding of literature. The more a reader knows about the time and place in which a work was produced, the more effective will be that reader’s interpretations of the text. So-called “new” historicism argues that history itself is much less stable than we thought because our understanding of the past is always conditioned by our mediator (the historian) and by our own subjective position in a complex, multivalent culture. Biographical: reading that emphasizes the author as a key to understanding the text. Such interpretations see the author’s childhood, education, family background, social class, and life experiences as important critical considerations. Traditional biographical readings tend to see authors as “products” of their times. More recent authorial critiques tend to stress the psychology of the author as a key to literary interpretation. Did the author long for a “mother”? Did the author hate a “father”? What did the author hide? Do we identify with the author’s life? Economic (Marxist): Marxist interpretations emphasize the economic and material conditions of all human activity. Such readings claim that literary works are a function of the material circumstances of the author (rich or poor) and the economy of the author’s society (feudal, mercantile, capitalist, socialist). Such readings also stress the role of literature in hiding or revealing class distinctions and the need for political change. Reception/Reader Response: discussions of responses produced by a text on its audience. Such critiques might discuss acceptance or rejection of a work by the reading public over time, reception by contemporary critics, or the current state of criticism of a text. Reception theory also analyzes and interprets the process of reading itself? What does it mean to “read” a work? What does it mean to “misread” the same work? Could we read disinterestedly? Deconstructive: de(con)structive readings reveal the linguistic tensions in a literary text. They also want to argue that all language is less st(able) than we often assume. Does “light” always imply, contain, or implicate “dark”? Does a seemingly unified text contain contradictions? How might a poem about the beauty of nature actually reveal the author’s own confusions about his pre/con/re-ceptions. Do certain words hide a much as they reveal? Do we find “true” meaning or make our own meanings? Is there “Meaning,” or are they only “meanings”? Feminist: such readings stress the fact that women and men have different experiences–including linguistic experiences–or point out similarities across gender boundaries. Feminist interpretations draw attention to the fact that the author was male or female, or to varying responses by male and female readers. Such readings tend to emphasize the history of gender relationships as a key to understanding the text. At the most theoretical level a feminist reading argues that language itself is male or female (i.e. based on certain gendered assumptions). Cultural Studies: criticism that sees literary works not as the products of “genius” authors, but as artifacts of the cultures in which they were produced and in which they are interpreted. Cultural studies also incorporates the records of societies–imaged, photographs, films, clothing, objects–into the concept of “text,” arguing that to read a text is to read the culture in which it was produced and also the culture in which readers are performing the act of interpretation. Ecocriticism: a recent form of interpretation that has emerged out of emphasis on the relationship between humans and the natural environment. Ecocritics emphasize the role played by nonhuman nature in a wide range of literary texts. They also interrogate the ways that human interactions with nature (plants, animals, geology, landscapes) have affected human life and the natural world. Many ecocritics have environmentalist or preservationist agendas; others are more interested in the philosophical and cultural implications of human understanding of and impact on the natural environment. Dillard, Annie. Pilgrim at Tinker Creek. Harper Perennial. 2007. Fergus, Charles. Wildlife of Pennsylvania. Stackpole Books. 2000. Hacker, Diana. A Pocket Style Manual 5th edition. Bedford St. Martin’s. 2011. Leopold, Aldo. A Sand County Almanac. Ballantine. 1986. Nichols, Ashton. Beyond Romantic Ecocriticism: Toward Urbanatural Roosting. Palgrave Macmillan. 2012. This course is designed to improve your skills as a writer of expository prose by emphasizing the genre of nature writing. We will concentrate on a variety of writing problems and techniques, emphasizing specific skills necessary to a wide range of writing tasks: description, narration, analysis, and interpretation. In all cases, our focus will be on the natural–or nonhuman–world and human connections to that world. Discussions of essay reading assignments will be supplemented by workshop sessions and individual tutorials and fieldtrips. Students will have the opportunity to critique one another’s work and to compare their essays to works by nature writers of the past two centuries. The course aims to concentrate your attention on all of the precise stylistic details that can lead to effective writing. This class will also make use of a new pedagogy–or teaching method–known as “blended learning.” So-called blended learning takes advantage of the multitude of electronic tools and techniques now available, both inside the classroom and out, to assist teachers in teaching and students in learning. From email chains to the WWW (World Wide Web), from YouTube to Spotify, and from chat software to international video clips, learning that blends traditional teaching techniques with the range of e-media now available offers a range of new possibilities for the creation, evaluation, and transmission of knowledge. We have also been chosen to receive computer tablets (Apple I-Pads) on loan from the College’s IT Service for each student during the entire semester. We use the tablets for access to open as well as library owned e-resources. Benefits of these resources will include cost savings for you, a rich array of open access and library sources, and the devices even encourage more use of traditional primary and secondary source materials. A liaison librarian–ours is Brenda Landis (landisb)–will assist us in identifying open access and library resources for our classes. Dickinson’s Library Database directory (including many full-text scholarly databases, streaming film collections, statistical sources, and digitized primary source collections) is available to you from the following link: http://www.dickinson.edu/homepage/584/ You should also see–and bookmark the direct link to the databases themselves: http://libguides.dickinson.edu/az.php. NOTE: As a result of our grant-funded emphasis on blended learning and our loaned tablets, these learning resources will produce the need for students to be externally evaluated at various points during the semester. All students in English 212–Writing About Nature–will receive extra course-evaluation forms through their email. The Center for Opinion Research (COR) at F&M is developing pre- and post-course surveys for our class and other courses being offered at Dickinson this semester. The plan is to have all of this information delivered to you via your email; I ask that you please complete these surveys as soon as possible after you receive them. This results of your work in this program will make future classes at Dickinson better for you, for your classmates, and for many students who will come after you. Thanks in advance for your help with this project. Students must complete all of these requirements to receive credit for the course. January 19 M First class. 3:00 p.m.-4:15 p.m. Kaufman 178. Our syllabus as a text. 26 M Essay #1 due (a natural object: assignment sheet attached). 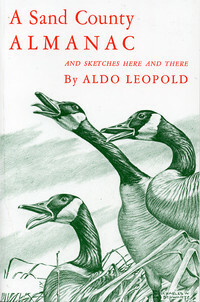 29 Th Aldo Leopold, Sand County Almanac. xiii-xix, pp. 3-137. Good nature writing? 5 Th Essay #1 revised (a natural object). Hand in for a final grade. Workshop. 9 M Aldo Leopold, pp. 138 to end. Hacker, “Grammar,” pp. 20-56. 23 M Survey nature writing journals online. March 2 M Charles Fergus, Wildlife of Pennsylvania. Pick a single CAPITALIZED SECTION from this book [ex. COYOTE, ELK, PUDDLE DUCKS, WILD TURKEY, LAND SALAMANDERS, POND AND MARSH TURTLES, WATER SNAKE]). At the start of class, bring up a single-screen, double-spaced page about why your chosen entry in Fergus’s book is well-written, using examples of language as details; be prepared with notes on your IPad to tell the class why your entry is well-written. 5 Th Fergus, continue with examples in class. Submit Fergus paragraphs electronically. 16 M Bring a well-written paragraph about nature from the web to class (on you IPad, linked to a page we can all access on our IPads, not a writer we are reading this term—submit your paragraph–electronically–at the end of class today). 19 Th Your field journal as a text. Bring you best paragraph so far, typed out on your IPad and sent via email to everyone in our class before class today. 23 M More paragraphs from IPad journals. 26 Th Essay #3 due: analyze Leopold’s or Dillard’s style. Animal rights: class positions. 20 M Debate and discuss animal rights thesis statements: Animal rights online. May 8 Friday FINAL EXAM (2nd Revision) due in Kaufman 192 by 5:00 p.m. Professor Ashton Nichols Kaufman 192 M TH 11:00 a.m.- 1:30 p.m. and by appt. You are encouraged to share your journal with your classmates, with other students, with professors, or with your family. You should feel free to ask me for advice or suggestions during the term, and you should feel free to copy “commonplace” selections into your own journal (that would mean quotes from Annie Dillard, Aldo Leopold, Charles Fergus, or your humble professor, as well as reading you are doing in any other class or simply on your own); just make sure that you always indicate when the words you write down in your journal are not your own. Consider all of our texts, classes, and discussions as source material for your own journal writing. Writing is a social and cultural practice. Your own writing always benefits when you see yourself as part of a reading and writing group of interested literate individuals. I may collect these journals at any time during the semester. I may ask to see the journal—individually or collectively—on any day, maybe next Thursday! I may ask you to read aloud from your journal on any day our class meets. I may ask you to make use of your journal for additional formal or informal writing exercises. In short, this writing will be an ongoing component of your work for this class. In addition to your four formal (graded) essays and two formal revisions, this journal will form the basis for the bulk of your writing during the term. Let your journal be influenced by the other writing we do in and for class. Let your style be influenced by the readings we are doing and reading that you are doing for your other classes. Take advice from your classmates, or ignore it; take advice from me and your other professors–or ignore it! Keep your journal in your IPad in a way that can be sent to classmates and to me in all or in part. We will share these journal electronically in class, and you will submit them to me that way. It must be written in your IPad tablet in journal format. Your journal should be work that you will want to read aloud–and will read aloud–to the class, or language that someone else could read aloud. I will collect these on Thursday May 30 for the last time and will hand them back to you after I have graded the Final Exam essays. Spend at least one uninterrupted hour observing a natural object. The object can be large (star, sun, cloud, mountain), small (grain of sand, flower, ant, leaf) or in between (stream, tree, turkey vulture, rock). Your object should be one that had not been shaped or visibly affected by humans. You should observe it as carefully as possible. Do not engage in any other activity during your observation. No Walkmans or electronic devices! What did you learn as a result of this experience? Write a three to four typed pages essay that explains to the members of our class what you knew at the end of this hour that you did not know before your observation began. Write with care and attention to the precise details of your experience. Your essay should have a thesis (a central controlling idea) and a clear organizational principle (chronological, psychological association, logical progression). Avoid errors of grammar, syntax, and spelling. Proofread you work carefully. This essay is due at the start of class on Monday, January 26 at 3:00 p.m. It should be typed, double-spaced, and should have a title page that includes a title that you have composed, your name, and the date. All essays in ENGL 212 will still be submitted in traditional paper format (typed, page numbers, stapled or clipped) for purposes of our regular workshop classes upon the submission of each essay. Reread your chapter carefully, and then write an essay that explains how your chapter helps you to understand the entire book from which it is taken. 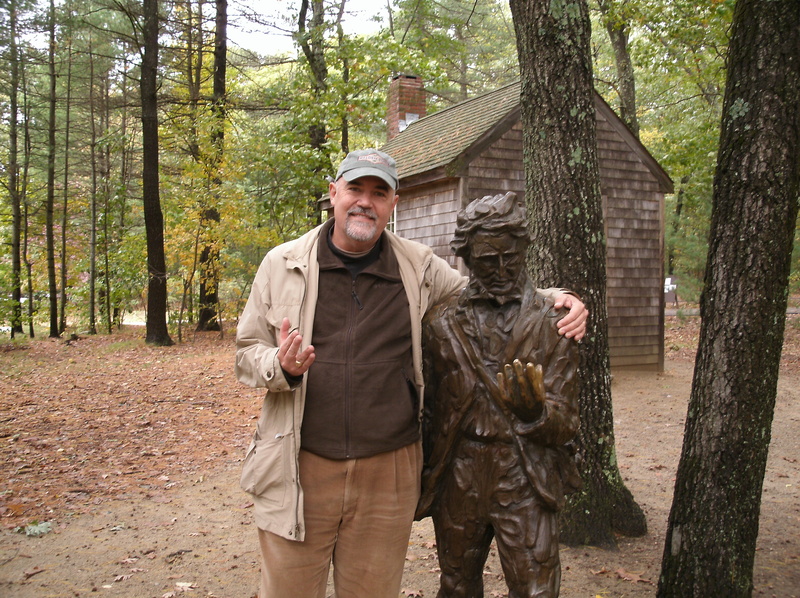 What is it about this chapter that connects to Thoreau’s wider points, and how could a reader use your chapter to help to make sense of the whole work. Your essay should have a thesis (a central controlling idea) that suggests clearly how your chapter helps a reader to understand the entire book. Write with care and attention to the details of the chapter you have chosen and to the entire text. Use concrete specific details from the chapter and the book to support your claims. You may refer to other chapters besides the one you are analyzing to help with your analysis. Organize your essay in a way that presents your ideas clearly and coherently. Proofread your work carefully. Your essay should have a title page that includes a title, your name, the class, and the date. The essay will be due at the start of class on Tuesday, February 25. You must have your completed essay with you when you arrive on time in class at 9:00 a.m. that day. This course will seek to extend the work we began in 403 into a weekly research and writing workshop. The workshop will let each student develop, research, and write a major essay on an approved literary topic. In addition, students will provide input for each other throughout the semester through discussion comments and written comments on draft materials. Each student will read and research as widely as necessary in order to conceive, develop, write, and accurately document a coherent and well-focused thesis essay of 35-50 pages. Students may make use of the full services of the Waidner-Spahr Library, outside libraries, and the Writing Center in order to complete this project. Do not hesitate to contact me during the semester to discuss our workshops, your research, your writing, or your grade. By uniform English Department policy, all final drafts of 404 theses are due on Monday, April 21nd , at 5:00 PM. A. Should be a minimum of 10,000 words and a maximum of 15,000 words (35 to 50 pages), not including apparatus (works cited, acknowledgements, etc. ), in 12-point Times New Roman typeface with 1” margins. Word count must be appended to the document upon submission. B. Should correctly follow MLA format, including the works cited pages. 2. Students must submit three copies of their final paper. One final copy for grading by 5 p.m. on Friday of the 12th week of classes. (If this date is a College recognized religious holiday, the due date will be 5 p.m. the Monday following.) This copy should be double-sided and given directly to the instructor. By department policy, late papers will receive a grade of F.
Two additional copies, due by 3 p.m. on the last day of classes, to Kelly Winters-Fazio, the English Department Academic Coordinator. 1) One copy left unbound on acid-free paper for the college archives for permanent retention. This copy of the paper should be double-sided and printed out on acid-free paper to ensure its longevity. This copy should be left unbound and placed in an individual envelope or folder with the student’s name on the tab. 2) One bound copy to be housed in the English department. This copy of the paper should be double-sided and bound by the Print Center. You may choose a colored cover sheet for the front and back cover page. 3. All three copies should be fully paginated, including any acknowledgments, preface, appendices, and works cited. 4. The title page of all three copies of the paper should include full title, author, date of submission, and the name of the 404 instructor. 5. Grades for English 404 will not be submitted until ALL copies of your 404 paper are received. The Dickinson plagiarism policy will be strictly enforced. This class adheres to the college’s Community Standards, which clearly state: “Students are expected to do their own work. Work submitted in fulfillment of academic assignments and provided on examinations is expected to be original by the student submitting it.” Please review the Community Standards document for more information. Students have failed to graduate from Dickinson on-time based on academic honesty issues in 404; please do not hesitate to ask me any questions you may have about citation, documentation, or academic honesty in relation to your thesis. The most severe penalties (failure to complete the English major; failure to graduate) can result from academic honesty problems in 404. Don’t risk it! As you begin research and writing, consult the bibliographic materials you have already used in 403. Remember that many of our texts for that course included useful bibliographies. Continue to read widely, but remember that you will reach a point within the first three weeks of the semester where you will need to begin writing work-in-progress materials for the class. In addition, remember that the library and I for advice and guidance. Do not overlook the possibility of extending your research into libraries beyond Dickinson and Carlisle through interlibrary loan or personal visits (especially over Spring Break). This work is supposed to represent the culmination of four years at Dickinson and also of all of your work as an English major. Make this a piece of work of which you and I and the English department can be proud. Also remember that this course is not just about your own research and writing. You are expected to be an active participant in the workshop process. This means that you will need to read work by your classmates with care, make comments on the draft materials they provide, and speak up in our weekly sessions with useful comments and suggestions for improvement. This aspect of the course will form an important part of your own grade (20%). By the end of the semester, I will ask each of you to comment on those members of the workshop whose comments were most helpful and those whose comments were least helpful as the semester proceeded. When this course succeeds, it does so as a shared effort. By the end of the semester, our goal should be that each student has produced a successful piece of work–whatever the final letter grade–and that the class has produced a series of projects we will all be pleased to send to the Dickinson library. Imagine coming back to Carlisle with your grandchild in fifty years to see the product of your spring 2011 labors. Also imagine picking up an academic book in the future and seeing your thesis referred to as a source for a high-powered scholarly argument. Now, get serious about your most important single piece of academic work at Dickinson. Now, get busy!